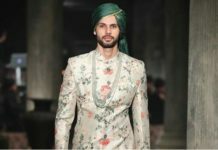 5 Unconventional Outfits For The Millennial Groom - Wedding Affair var admin_url = "https://weddingaffair.co.in/wp-admin/"
Just like brides, grooms too have become conscious about their looks and appearance. Those days are long gone when groom to be used to depend upon his family members for each piece of clothing. But now they spend months working on their appearance, after all, it’s their big day. 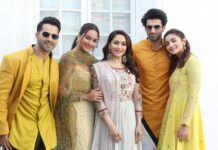 We have all heard about the dhoti salwar but now you can see dhoti kurta as well. 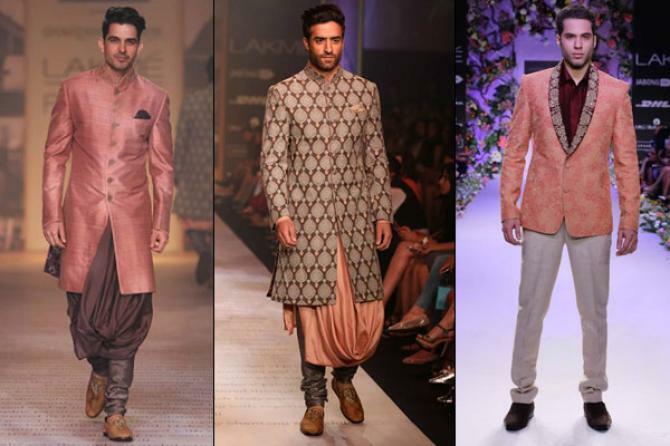 Dhoti kurta was introduced in bridal fashion week and since then it became favourite to many. This kurta looks good on every personality. Frock with a jacket is a daring outfit to be tried by grooms. 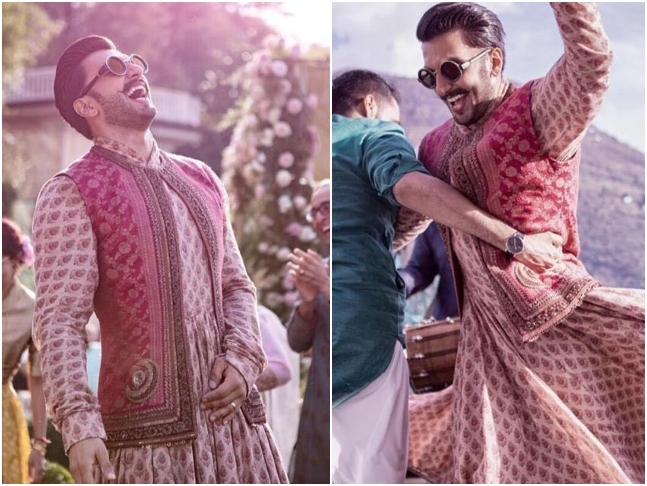 For inspiration, you can look forward to Ranveer Singh’s attire on the Mehendi Ceremony in Italy. 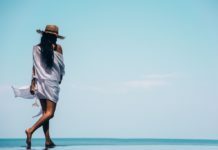 Palazzo pants are no more only for ladies. 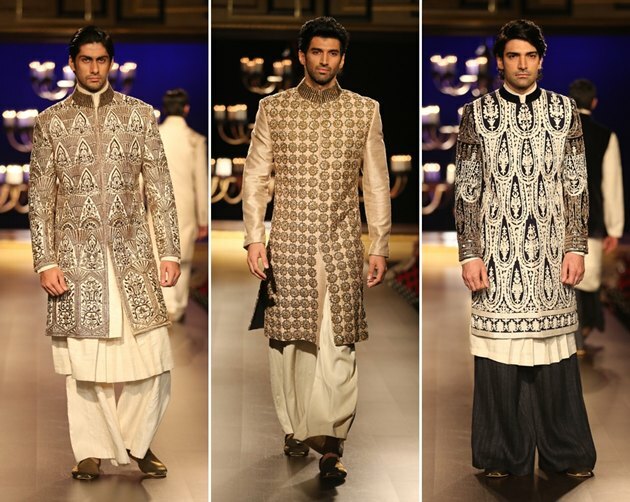 Palazzo pants with sherwani were introduced in bridal fashion week and since then became favourites to many grooms. 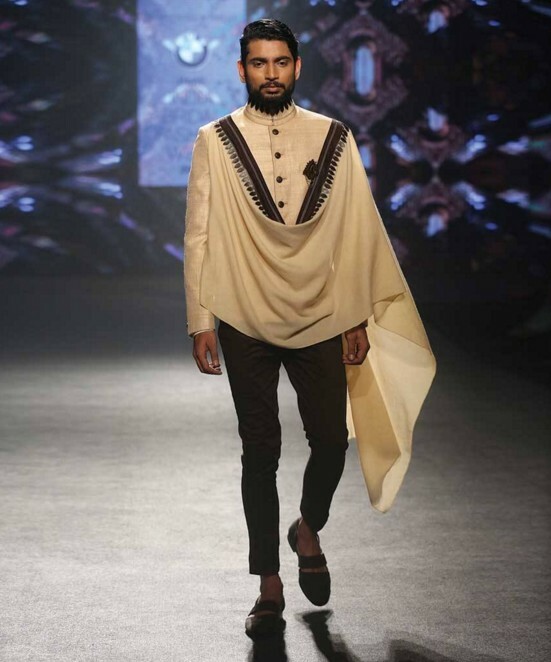 This asymmetrical kurta looks good on every type of personality. 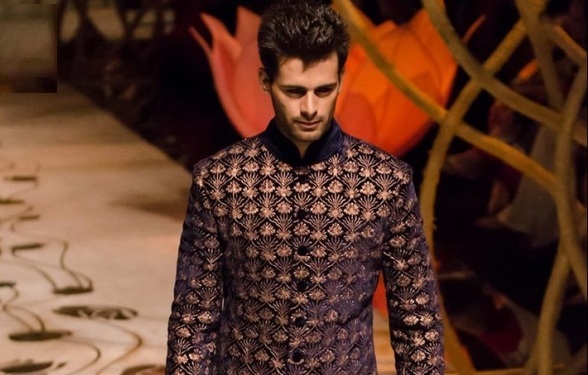 No matter whether you are tall or short, this kurta will look perfect on your personality. 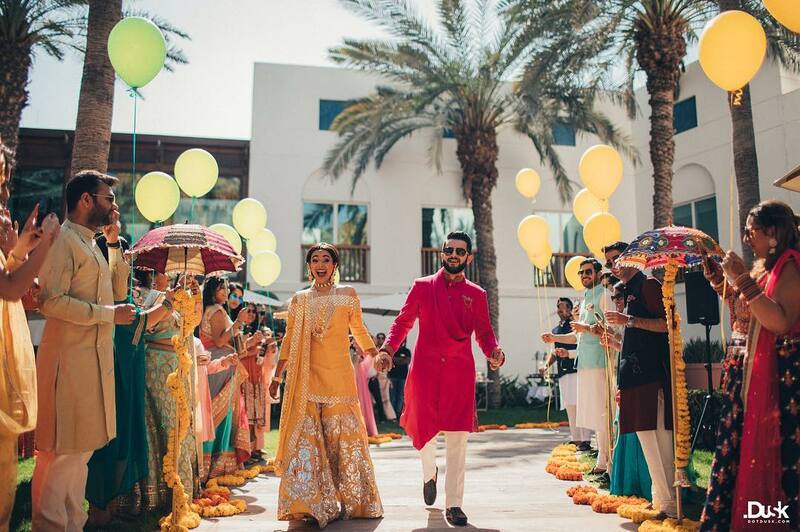 If you don’t want to pair heavy dupatta with your sherwani then you can simply go for dupatta attached to your clothing. It’s kind of pre-stitched with your clothing and will save you from the hassle of balancing it every now and then. All these ideas are best suited for those grooms to be who loves trying to experiment with their looks. These outfits will look great when you wear them. Though at the beginning you might be thinking of it as risky but at the end, they are worth a shot. They’ll enhance your personality as well as will make strike your persona as the unique one.